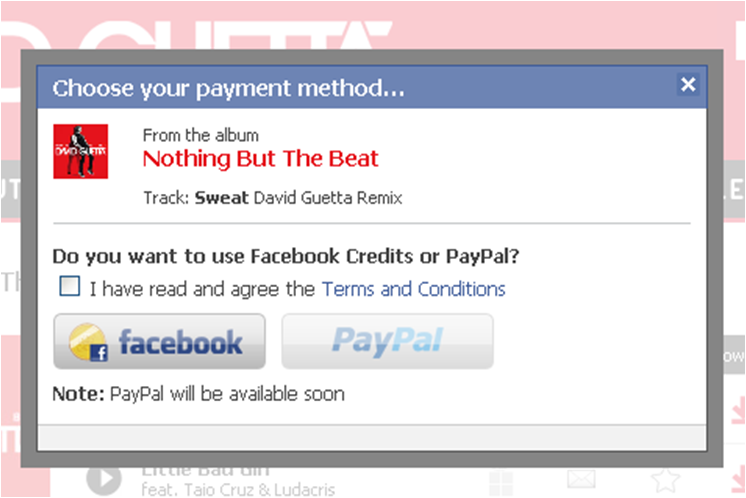 David Guetta has built a substantial fan base on Facebook with 23.7m people now Liking the David Guetta Facebook Page. The David Guetta Facebook Page is used to push information to fans, syndicating the David Guetta Twitter account and highlighting other things of interest for fans (such as Spotify links, new articles etc.) A new application called 'Nothing But The Beat' has also now been added.